At Jalopnik, we understand your occasional need to stalk a car. Maybe you want a picture, or to meet the owner and say what a great car it is. Or leave a note or something. Things are different in Hong Kong, though, where they're basically celebrity stalking buses. Yes, buses. There's an enormous fan base for double-decker buses there, according to the Wall Street Journal. Probably moreso even than in England, they've become a cultural icon. People are waiting on streets, armed with cameras, for the buses that are decorated with colorful ads or prints or whatever. "I get a very special feeling when riding a bus," says Dennis Law, 35, a photographer and local bus aficionado. "It's a kind of freedom, a leisure feeling." His favorite is a new model of the red and yellow Enviro500 MMC, built by U.K. bus builder Alexander Dennis Limited, launched last year. "It's quite luxurious," says Mr. Law. "It feels like you're in a race car." A bus that feels like a race car. That's a new one. Of course, some of us lust after something called an MP4-12C. Not at all an alluring name. 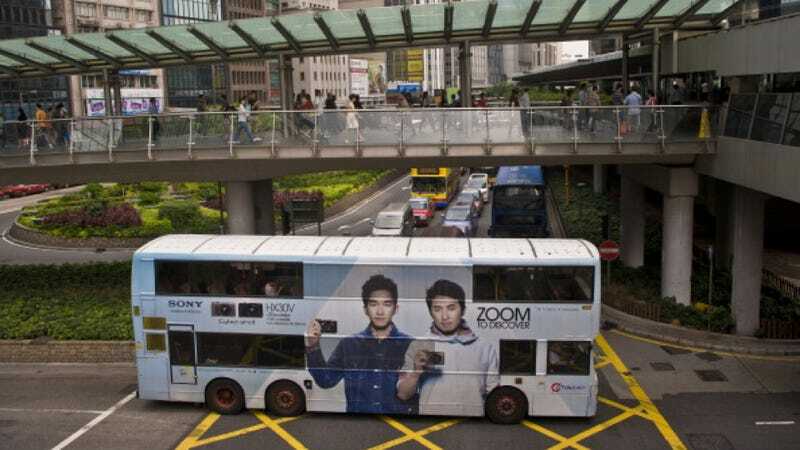 But just as other, less car-centric cities have immense love for two-wheeled transportation, Hong Kong has double-decker buses. To each culture its own.